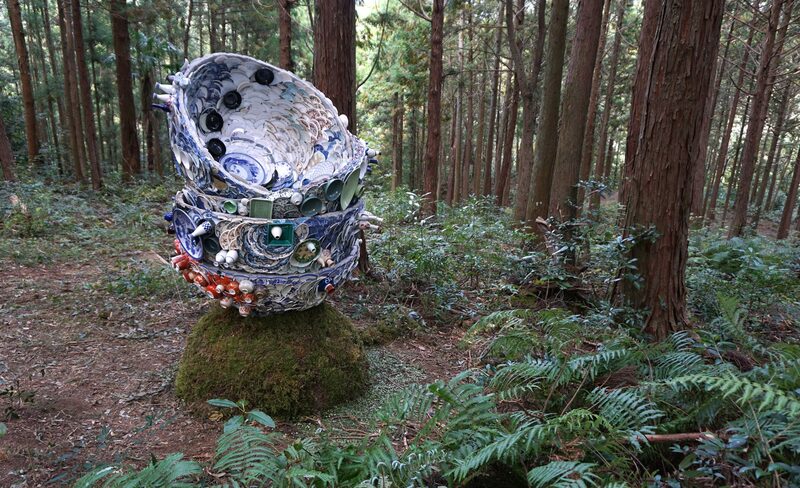 With Kamiyama Kintsugi I want to honour the possible harmony between man and nature. 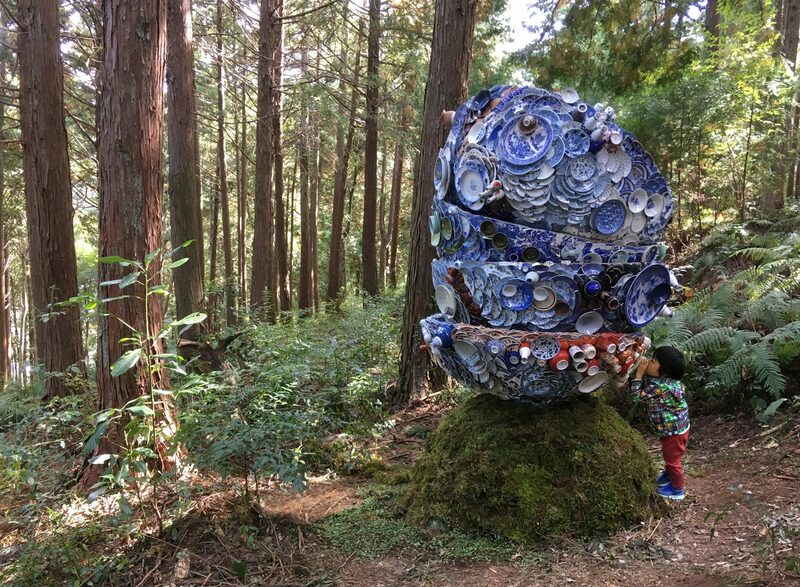 The sculpture was inspired by the presence of human culture in the mountains and forests of Shikoku, where pilgrims and other travellers left many (sacred) objects over the past centuries. 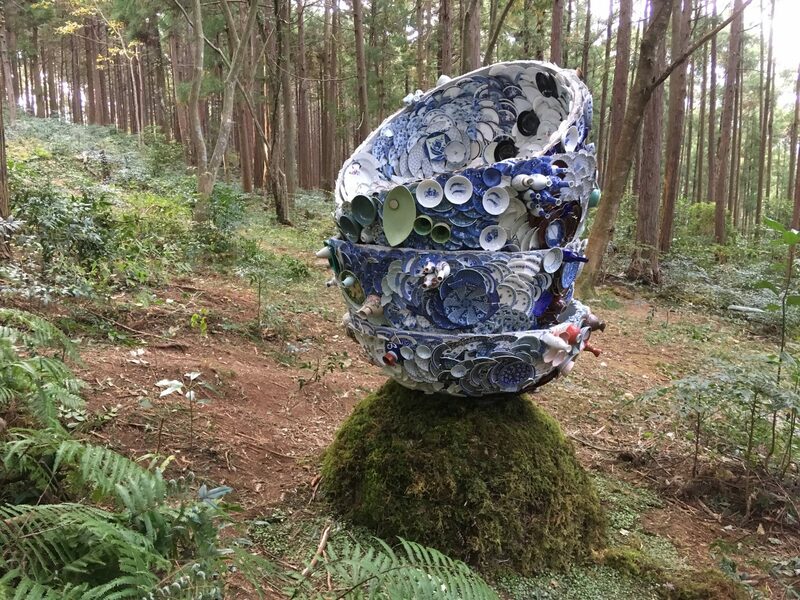 Hundreds of small stone buddhas as well as little offerings in cups and bowls are scattered along the winding mountain paths, as reminders of an old tradition and civilization. 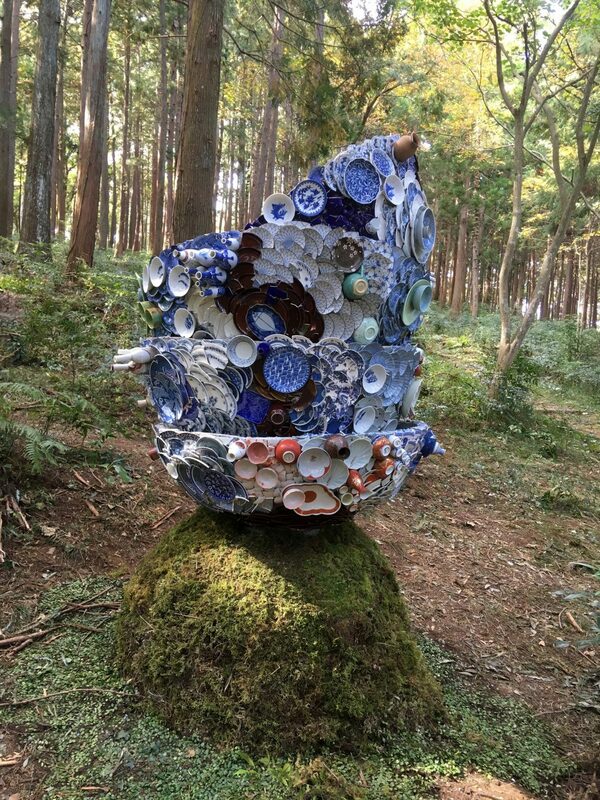 The stack of rice bowls refers to these offerings that Japanese people use(d) to give to natural phenomena, such as trees, rivers and mountains. 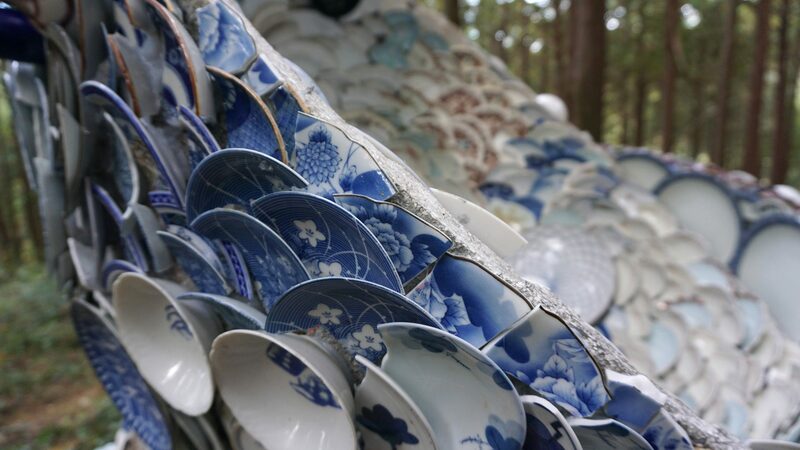 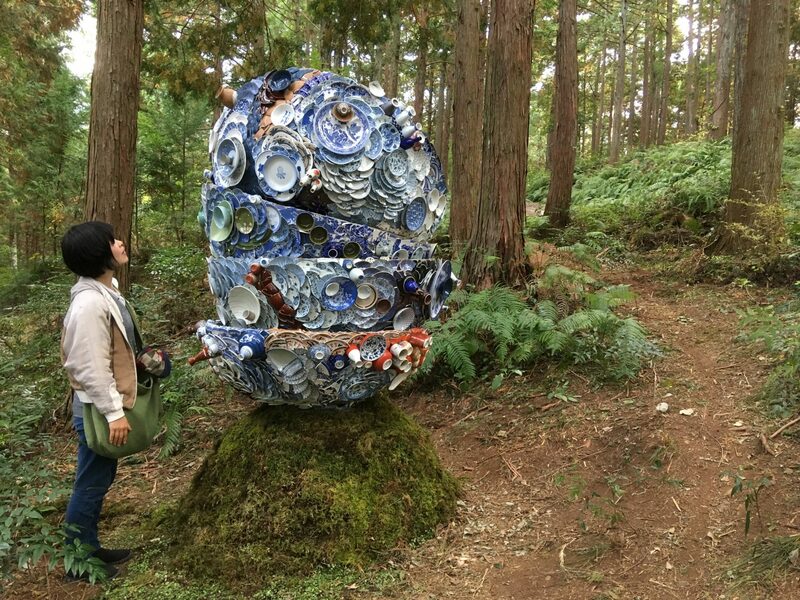 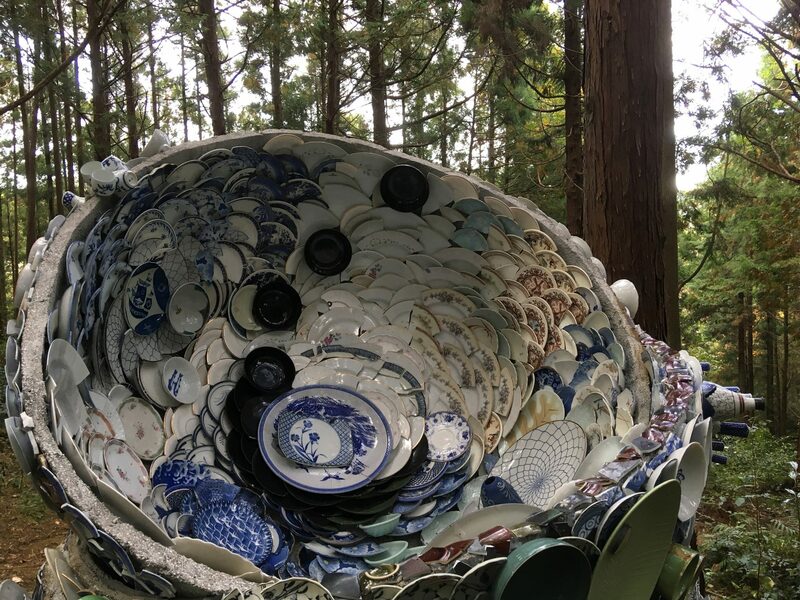 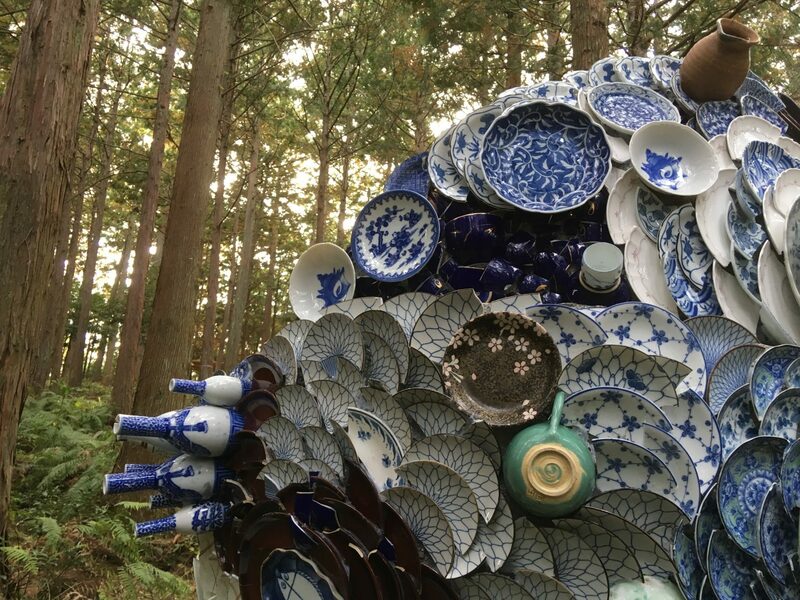 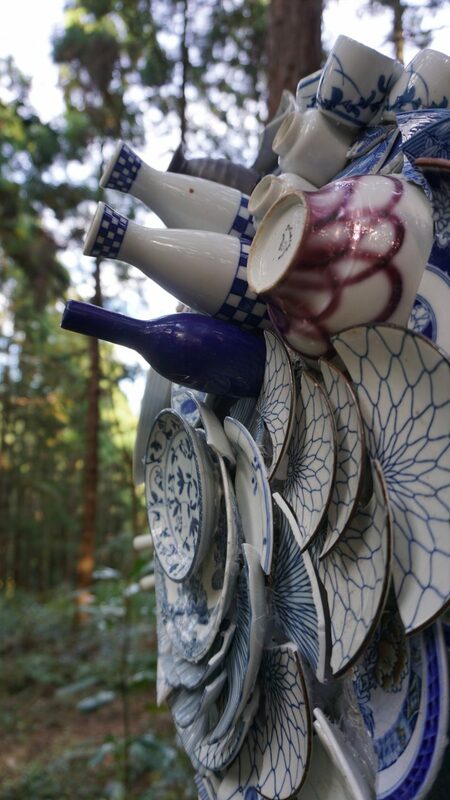 I invited the contemporary inhabitants of Kamiyama to be present on their mountain by contributing some of their own tableware to the sculpture. 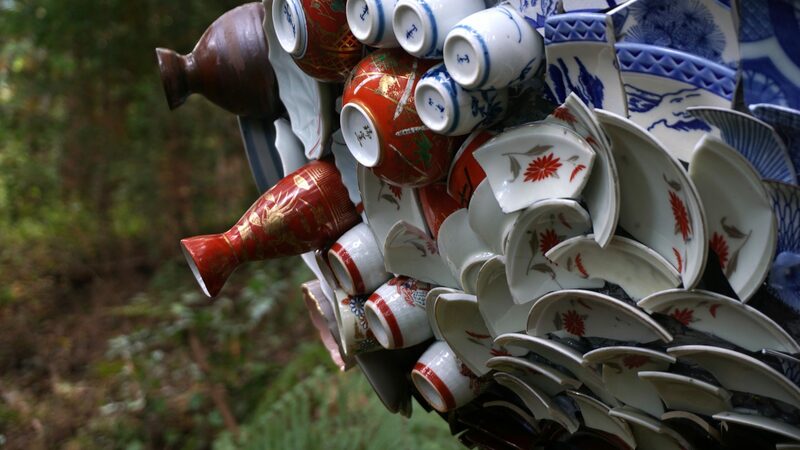 By using their bowls, cups and plates I pay respect to their way of co-existing with the (wild) nature that surrounds the village.